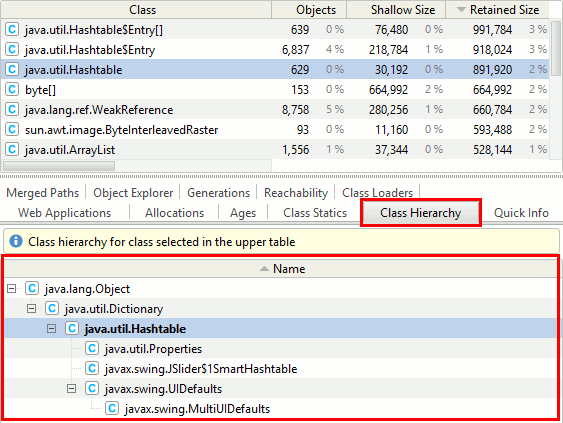 'Class hierarchy' view shows super classes and derived classes of given class. 'Class hierarchy' is available as a slave view. It is shown for the class selected in the master table (e.g. in Class list) or for the class of the object selected in the master table (e.g. in Objects explorer). You may want to open the class in your IDE to use more powerful hierarchy analysis capabilities it provides.